The Android vehicular combat car racing games are powerful games designed to pump adrenaline rush into gamers. These mighty games come with abundant features to enhance the gaming experience significantly. Let’s discuss some of these amazing games here. 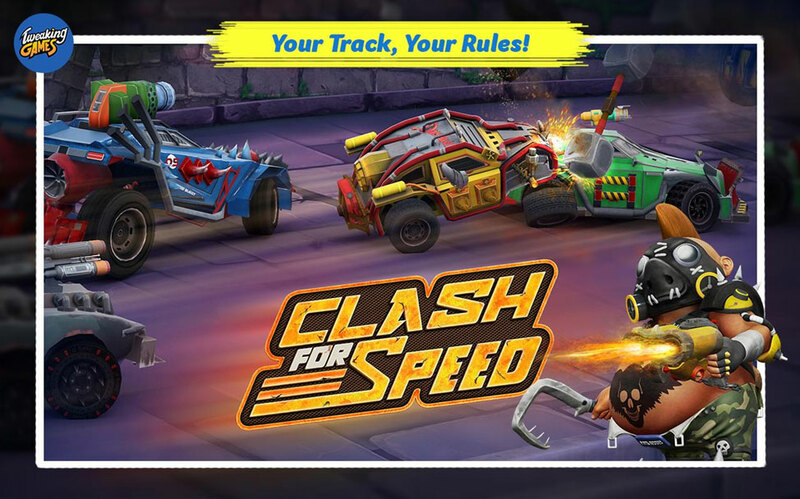 Clash for Speed is powerful 3D combat car racing game that offers stunning graphics & realistic sound effects. This state-of-the-art game is specifically designed for Android users to fill the gap between regular combat car racing games and a game with extraordinary features. This amazing game offers one unique feature where it allows you to draw your own 3D track to race and compete with others. To do this, you can use its 3D track builder feature to draw thousands of tracks easily with a single finger direction. Here, you are expected to draw more complex tracks so that you get more chances to win more trophies. You can use these trophies to unlock other features of the game. It will also become tough for your opponents to compete with you on these complex tracks. Further, Clash for Speed offers abundant features & functionalities to enhance the gaming experience. Here, it allows you to upgrade your cars with each level and upgrade tires while driving in some amazing game environments. In other features, it offers deadly weapon options, on-road & off-road obstacles, original car stickers and more. While playing the game, you will be governed by an intergalactic character called Speed Hog who is insanely addicted to speed & power and owns all planets in the game. Above all, you can play this impressive game for free! Try this fast and free 3D battle car racing game to wake up that speed freak in you. To start the game, you will get a car full of gas to reach the maximum speed on specially designed asphalt tracks. While playing the Death Racing Fever, you need to deal with lot of obstacles and dangers as you will encounter road mines, ground bombings and lot more that is there to stop you. Even your enemies will hit with military trucks and armored cars laced with automatic shields. To save you from this upcoming danger, you will be provided with upgradable and indestructible cars with the most advanced weapon options. 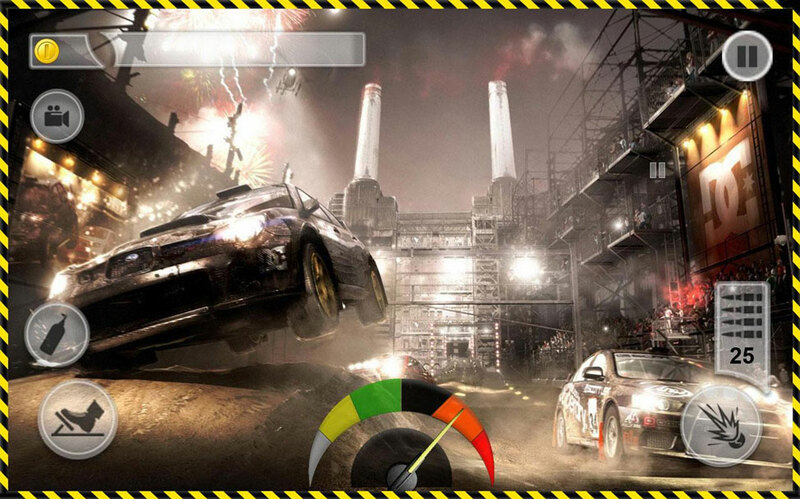 During the game, you can enjoy 10 thrilling racing missions that are designed to test your driving skills. Here, you will also enjoy realistic background sound and 3D HD graphics. 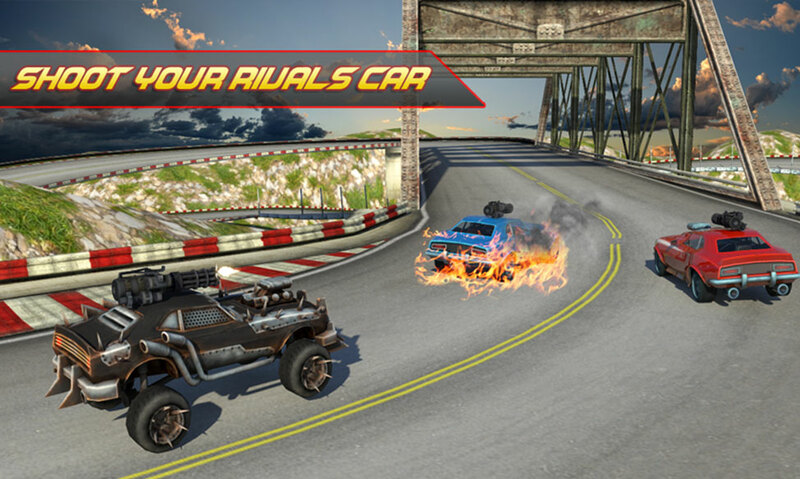 Try this ultimate battle car racing game to fight against your enemies and win the races to stay in top position. Here, you will find numerous car options that come loaded with state-of-the-art weaponry to kill your enemies in seconds. Further, you need to dodge the opponent’s cars and kill them to attain the top position. The game is designed around the worst past civilization of murderers and discarded androids. 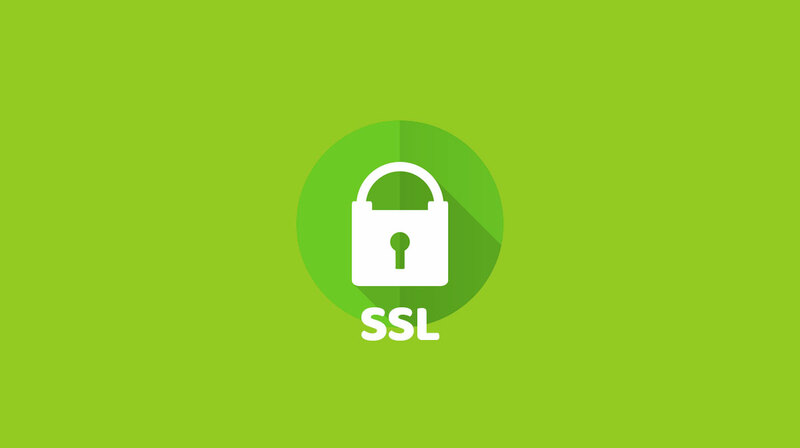 You need to fight with these vicious creatures to survive as they have nothing to lose. To fight with them, you will get a huge arsenal of weapons with advanced combat cars. 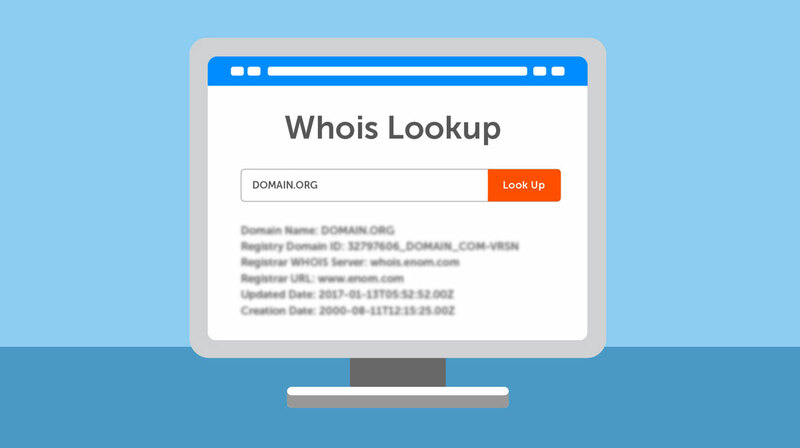 In other features, it offers 1000+ career events, easy leaderboards, numerous game modes, 100+ upgrade levels and more. Death Race Shooting comes as a perfect mix of shooting and car racing game. 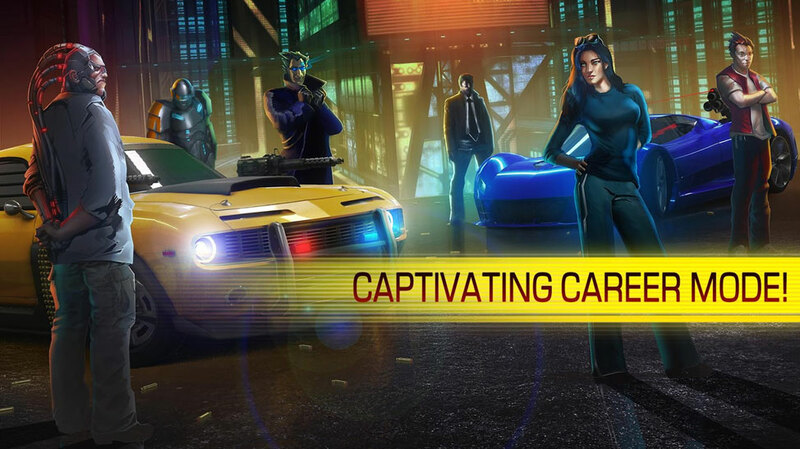 Further, you can experience car simulation and extreme car fighting during the game. While playing the game, you will enjoy natural sound effects and amazing 3D graphics when you run on the roads and shoot the enemies. This amazing game offers you powerful combat car options and deadly weapons. This death racing game is defined by a single rule to kill or get killed. Further, you can even upgrade cars & weapons by spending cash in the storeroom. It allows you to earn this cash in the form of coins while driving on the roads in addition to the bonus you get. Here, you can select from one way or two-way traffic options. In other features, it offers elegant graphics, amazing environment, deadly weapons, smooth controls and more. Battle Car is led by a simple directive to kill or get killed. 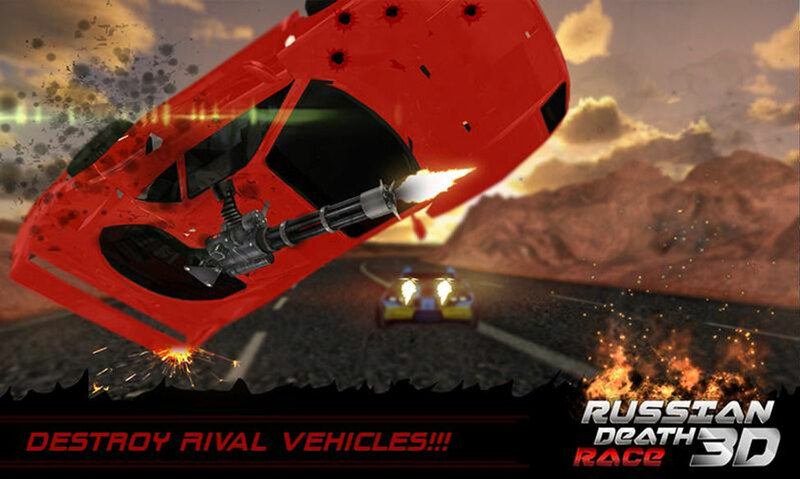 It offers bunch of deadly weapon options and powerful cars to help you win the race. The game is designed around the theme where you will face unlawful men who were imprisoned in jail for heinous crimes. 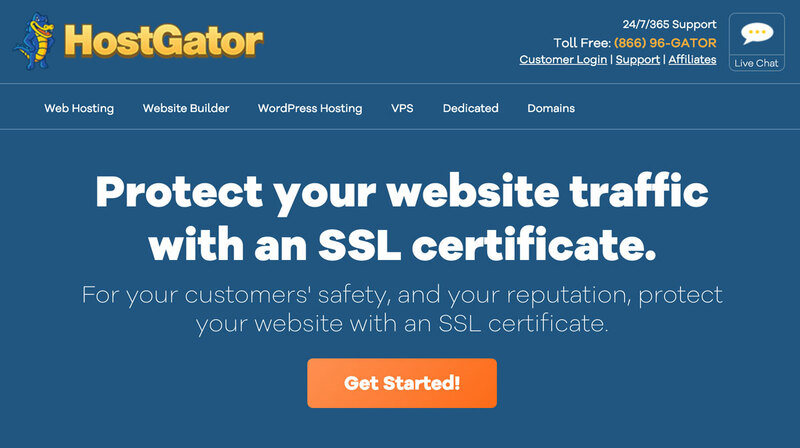 While they have nothing to lose you need to be extra careful. During the game, you can shoot at enemies to kill them or hit them hard to destroy them. While playing the game, you will enjoy powerful racing missions, stunning graphics, realistic background sound, fully weaponized racing cars and more. With the abundant options available for vehicular combat car racing games for Android on Google Play Store, it was tough to select best few. Despite that, with some research and hand on experience on these games, we have managed to discuss best few for you here. If we have missed on your favorite game here, feel free to comment below.